Following the 2011 Great East Japan Earthquake, Tohoku, the northeast region of Japan's main island of Honshu, sustained a substantial amount of damage from the resulting tsunami. 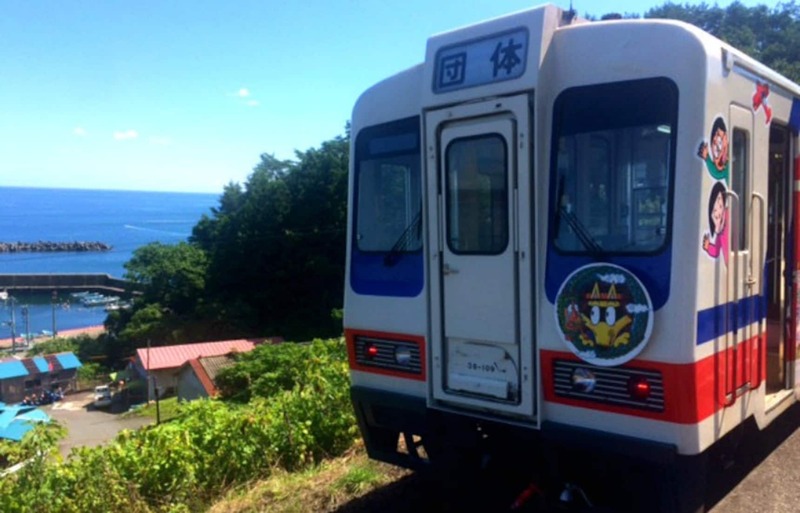 However, in a tremendous effort to educate the locals and visitors on prevention, the local Sanriku Railway, which reopened in 2014, is running a recovery train. The disaster prevention train is perhaps one of the best ways to educate visitors to Tohoku on the 2011 Great East Japan Earthquake and tsunami that devastated the region. In 2017, six years later, the area is still in recovery; however, through the construction that's still going on around the coastal areas, the beauty of Tohoku still shines. And taking to the rails and surveying the landscape below while learning about the disaster and, perhaps more importantly, disaster prevention, is an interactive and positive way to educate riders. Overwhelmingly, the Sanriku Railway guides want you to understand that the main focus of the train tour is not to harp on the disaster, but to make sure that future generations learn how to respond to a disaster. While it is important to see the affected areas, knowing the steps to take for a swift evacuation and being prepared before the disaster strikes (with a flashlight and whistle) is valuable information. Every moment in life is a chance to learn, and the lessons gleaned from the Tohoku earthquake and tsunami could end up saving your life. The train runs between Miyako and Kuji Stations in Iwate Prefecture. 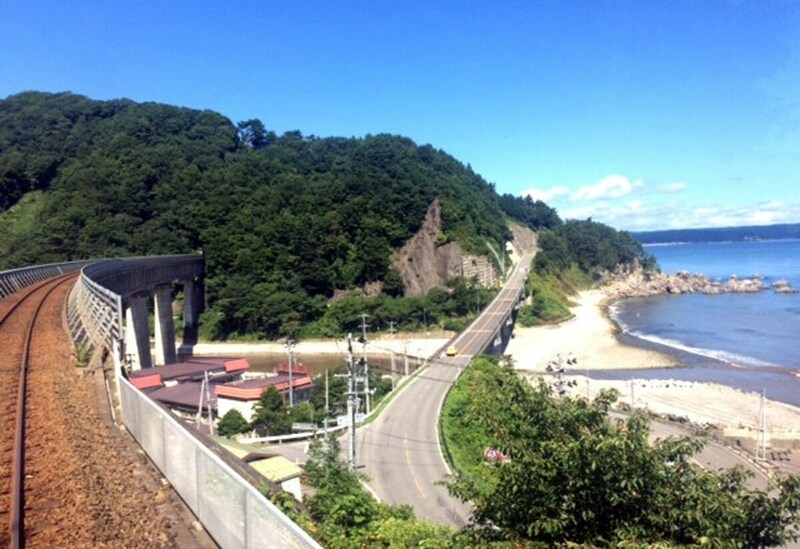 Our particular route ran between Fudai and Kuji Stations, with a chance to stop and see the expansive and gorgeous coastline. Between exploring the wonders of Tohoku, from the stellar cliffs of Kitayamazaki to the deep blue caves of Ryusendo, we recommend taking the time to appreciate the hard workers of the Sanriku Railway who are toiling to keep people of the region safer.